Whether you're using it to protect jewelry, guns or any other type of valuable objects from theft or damage, a safe is your go-to source when it comes to security tools. One of the most efficient ways of preventing unauthorized access to your safe is resetting its combination on a regular basis. To perform the reset, you first need to identify the type of safe that you have and follow specific steps to ensure a successful system reset. 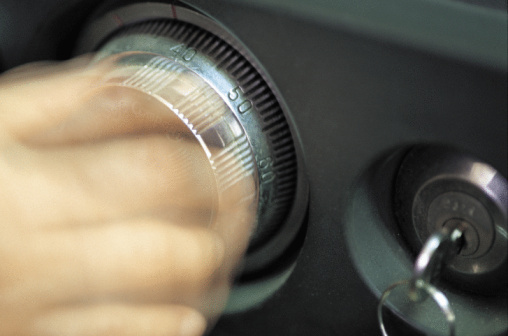 Whether you need to perform a secure vault gun safe reset or change the combination to your book safe with combination lock instructions, you'll need to have the factory code as well as your own personal code at hand. Although not very frequent, hotel room safe theft does happen. When you forget your code or if there is a malfunction to the safe, the hotel staff can use a special digital code key or another type of electronic device to open the safe for you. 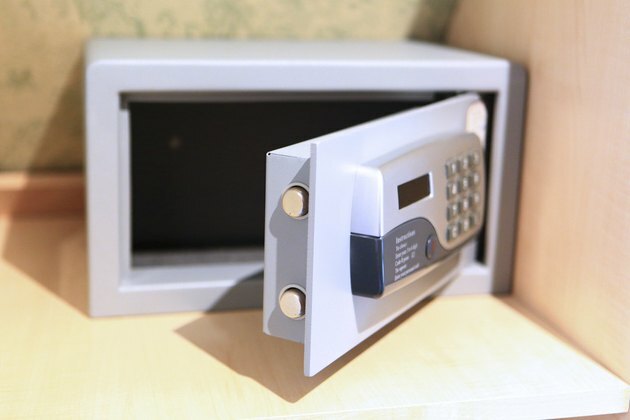 Hotel safes can also be opened using only a simple pocket tool and a short length of wire. There's no way to tell if the safe door has been opened, as it automatically locks itself after the contents have been taken away. Apart from bringing your own portable safe to the hotel, you can use secondary locks that are designed to prevent unauthorized access to your in-room safe. The first thing you will need to do is make sure the safe door is already open and you have access to the user and factory codes, which you can find on the first page of the safe's handbook. Generally, on the keypad you'll notice a programming button. This button will delete your old combination and allow you to change it as needed. Usually, the next step is to re-enter your factory code in order for the new combination to be accepted. Then, enter the new combination code and complete the process by shutting the safe door. Now you should be all set, and your safe will be reset. Write down your combination in a secure place if you think you might forget it. Think of a place nobody ever goes and put it there. Be sure to never give your Homdox safe reset code – or any other reset code – to anyone whom you can't trust long term. However, in the event that you do give it out and immediately regret it, you don't have to completely ditch it and buy a new safe. You can reset your safe code as many times as you want, and you are not required to wait a certain amount of time before changing it again.